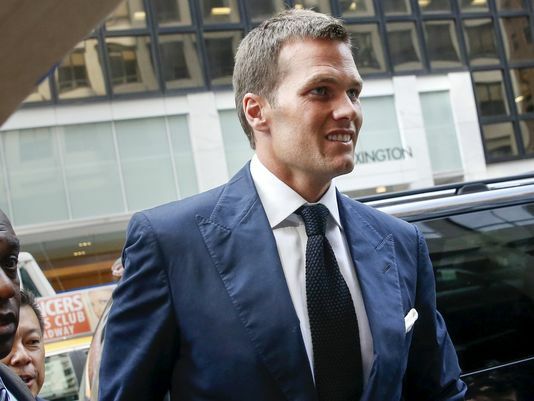 A federal judge erased New England Patriots quarterback Tom Brady's four-game suspension Thursday for the Deflategate controversy that the NFL claimed threatened football's integrity. The problem with the NFL 4-day suspension for Brady is that it does not fit the crime. They don't have much evidence that Tom Brady intentionally deflate the balls. Who knows. You know who's not happy? @Andy1: Haha. Tom Brady probably got maybe 2 years left. He just needs to wait.